Not only is fixing a faulty roof an expensive affair, it’s also highly inconvenient to say the least, so getting your roof built right the first time will save you a lot of headaches down the road. However, sometimes things go wrong, more often when you’ve tried to cut corners with cost. Leaks are one of the biggest issues with roofs and a sure sign of trouble. The biggest cause for them is when flashing details aren’t fastened properly. In fact, 95% of leaks on Built Up Roofs (BUR) happen for this reason. One of the underlying problems is when unscrupulous contractors reuse old flashing. This is not recommended, as the savings on the flashing can compromise the investment on the more expensive new roof. Insist on new flashing to safeguard your roof and home. Other causes can be an inadequate moisture barrier, poorly applied seams, or inadequate head laps or back laps. An experienced roofer is trained and experienced with different types of roofing so knows how to prevent leaks. They also will most likely recommend performing regular maintenance checks to identify signs of potential problems. Other than causing leaks, flashing that’s not been installed properly can also result in open seams, blow-offs, code issues, and reduced puncture resistance. That’s not the only cause either. Not using enough fasteners in the base sheet, poor quality gravel embedment, and seams that have been inadequately cured can cause roofs to billow or blow off. This compromises the coverage of your roof and can lead to expensive damage. Single-ply roofs tend to experience shrinkage, and two common signs are when there is pulling on the flashings and deterioration. This is commonly found at the penetration flashing and at the perimeter. Blisters of significant size should be fixed. Blistering happens when hot bituminous roof systems are inadequately attached because the asphalt had not been heated at the right temperature. This is made worse by accelerated aging and slipping of felts. Roofs must be designed to move water off them; for example with a dead-level roof, there should be a slope with tapered insulation or crickets added. Water can pond when improper mopping causes voids in the membrane, blocking drains. It’s important to find out why the ponding is happening before making repairs, as it could be due to HVAC units or drains that are blocked with debris, dirt and silt. Old flashing that’s been reused may have punctures in it. Roofs can also be punctured by foot traffic, impact during construction. and equipment added onto a roof. When roofing panels are of an improper length, your roof may have drainage problems. They should overhang by 1 to 2 inches, and be straight and flush without any variations in length. Doing routine checks and catching signs like ponding water, pitch pockets that are unfilled, or a piece of slipped base flashing can help you to address any potential problems with your roof. Catching these minor problems early before they become bigger will make sure they don’t get out of hand and become a major expense. With an experienced roofer, along with regular roof inspections, these problems can be avoided for the most part. 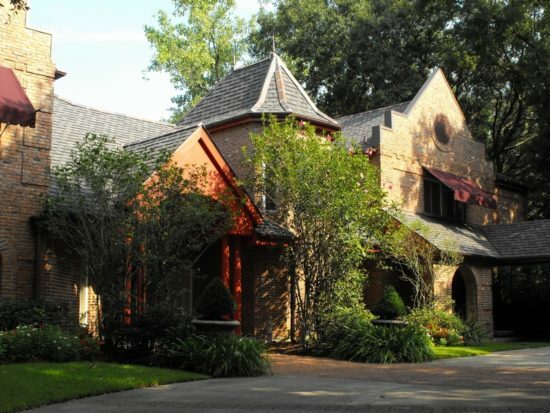 Our fully insured and licensed experts at JOI know the common pitfalls in roofing and we are confident that our techniques and professionalism will result in a roof that can hold up well for years to come; thousands of roofs across the metro area are proof! Get in touch with us today for a consultation, & get your roof built the right way the first time.